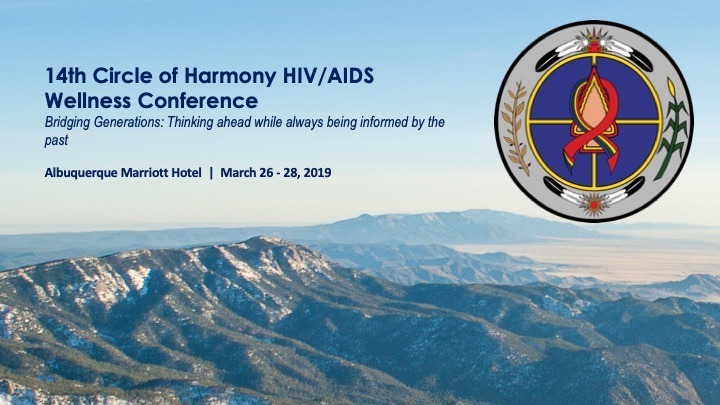 The 14th Circle of Harmony HIV/AIDS Wellness Conference was held in Albuquerque, New Mexico last week. Presenters from throughout the U.S. came together to address the complex and unique issues relating to HIV/AIDS and share their experience in working with American Indian, Alaska Native and Native Hawaiian communities. Raising awareness of the risks of HIV/AIDS to Native communities and the impact it has on American Indians, Alaska Natives (AI/ANs), and Native Hawaiians is especially important because of its significant rate among the population. Compared with other racial/ethnic groups, Native Hawaiians/Pacific Islanders and AI/ANs have the third and fourth highest rate of new HIV infections, respectively. Of those diagnosed with AIDS, AI/ANs had the shortest overall survival time, with 87 percent living longer than three years. The Circle of Harmony HIV/AIDS Wellness Conference is a unique event as it is the only conference of its kind devoted to addressing HIV/AIDS prevention and substance abuse prevention from a Native perspective. The conference, hosted by the Albuquerque Area Indian Health Board, Inc., employs storytelling, presentations, and approaches specific to tribal communities that are not found in any other conference of this type. According to their website, Native people have come to trust and accept the tenants of the conference because of the culturally appropriate way topics are presented. The conference was created to educate Native people of all ages about good health, increase knowledge and awareness of the transmission modes of HIV/AIDS among Natives and the risky behaviors that can lead to infection, and to share the current approaches of health care service providers offering HIV prevention and care services to Native patients. Since its inception in 1999, experts on HIV infection and Native communities have been recruited to present at the conference. Through presentations, ceremonies and breakout sessions, participants learn about the multiple and complex behavioral factors associated with HIV infection, sexual orientation, substance abuse, childhood abuse, sexual abuse, domestic violence, stress and trauma. Attendees also learn about the interconnectedness between substance abuse and HIV/AIDS. Attention is placed on intergenerational trauma, including historical trauma as it relates to risky behaviors like substance abuse. The theme for this year’s conference was “Bridging Generations: Thinking ahead while always being informed by the past”. This fact sheet contains visual information and statistical data about HIV among American Indians and Alaska Natives.